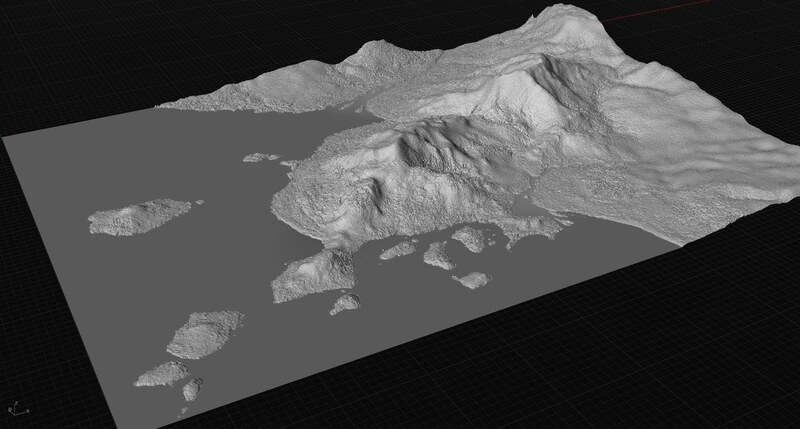 3D model of terrain. Produced using the "Heightfield" command in Rhino, which samples an image and assigns height based on tonal value (black = low, white = high). This specific operation was the purpose of the original watercolor and the photoshop modifications.